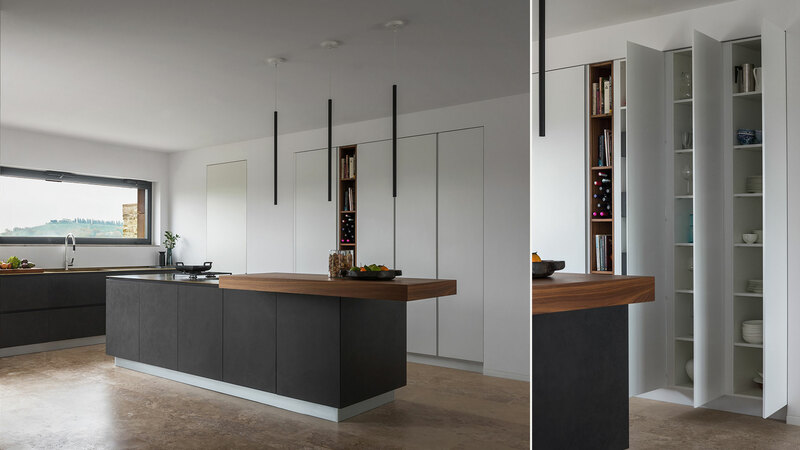 The kitchen with island in gres is a harmonious composition of three volumes in the T45 concept. 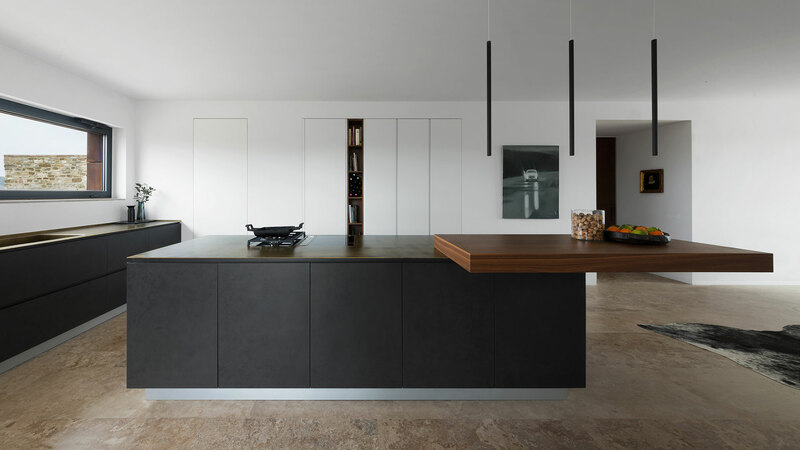 The island features base cabinets in Blend Nero Gres finish and a 10 cm thick cantilevered breakfast bar in Noce Canaletto. 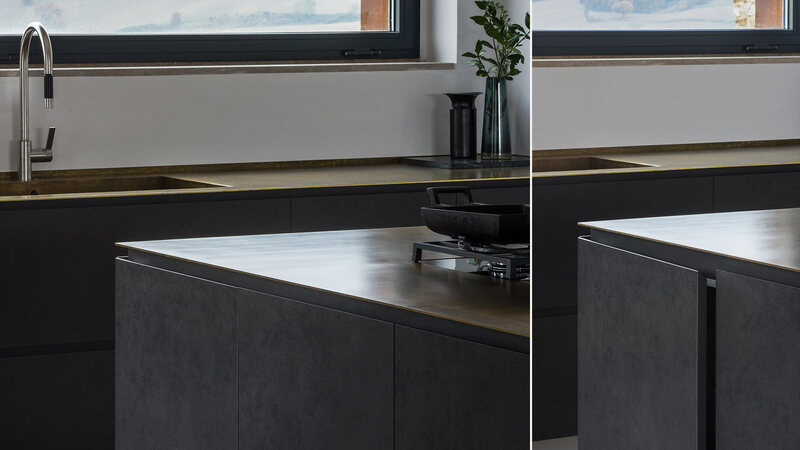 The worktop in brass incorporates two (1 x induction and 1 x gas) Bora hobs, with vertical controls positioned on the Gres base unit. 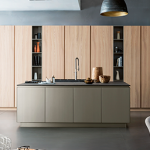 The operating area is composed of base units equipped with twelve deep drawers with Blend Nero ceramic doors. 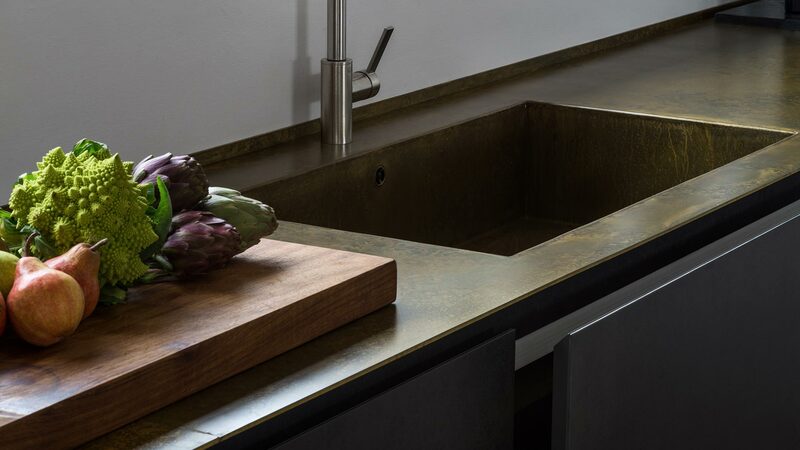 The worktop is in brass with a built-in welded sink. The composition is completed with four tall cabinets with pure white lacquered finish, set in the wall, spaced out with an open-shelf bookcase in Noce Canaletto.